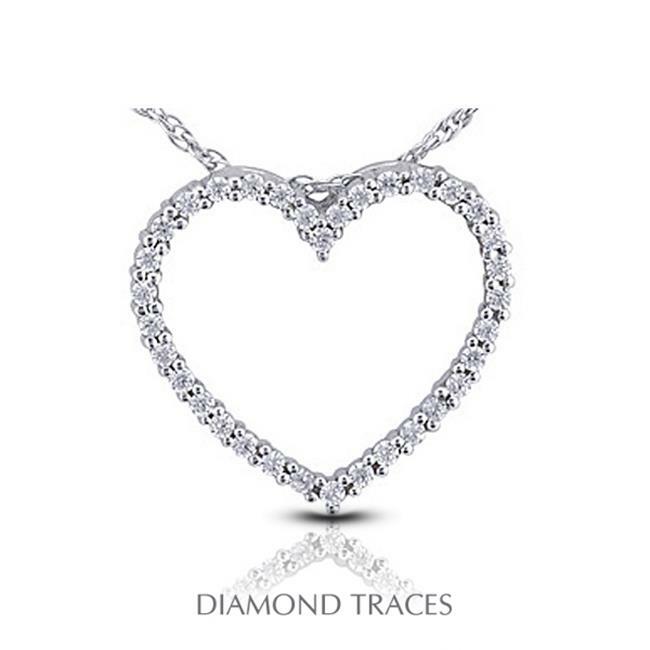 This beautiful 14k white gold heart shape pendant features 28 round diamonds with a total weight of 0.68 carat. The diamonds are certified by AGI Laboratories as a 100% Natural Diamond H color, SI2 clarity, and with Excellent cut. To emphasize the true fire and brilliance of the diamonds, our master jeweler chose prong setting method.